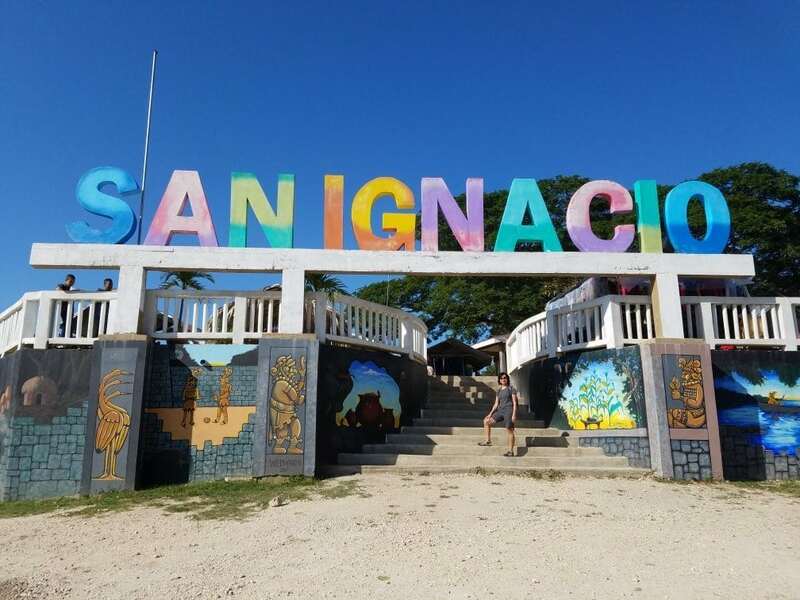 San Ignacio Town in Cayo District is known for its friendly people, rich culture, comfortable and hidden accommodations, amazing food and abundant adventure tours! Together with Santa Elena Town on the opposite side of the Macal River, this inland destination is the largest town in the country. Linked together by Three Bridges and connected by the Western Highway which ends at the Belize Guatemalan border, San Ignacio is the ideal town to stay for a Tikal Tour in Petén, Guatemala. These towns are approximately two and half hours from the Philip Goldson International Airport in Belize District. The most recent bridge built, connects the Loma Luz Boulevard in Santa Elena spanning the Macal River, and connects to Joseph Andrews drive in San Ignacio. where Vivian’s Cafe is located, just after Sacred Heart College. The Mopan River starts in the district of Petén in Guatemala and flows through the Cayo District in Belize. The Mopan River and the Macal River meets and is joined in the area locals call branch mouth, a cool spot for a swim on a hot day. Branch Mouth is only 15 minutes away from downtown San Ignacio. The residents from Santa Familia, a small village across the river, uses a rope bridge or a small boat to cross over – Forbes once list Santa Familia as a place to live. 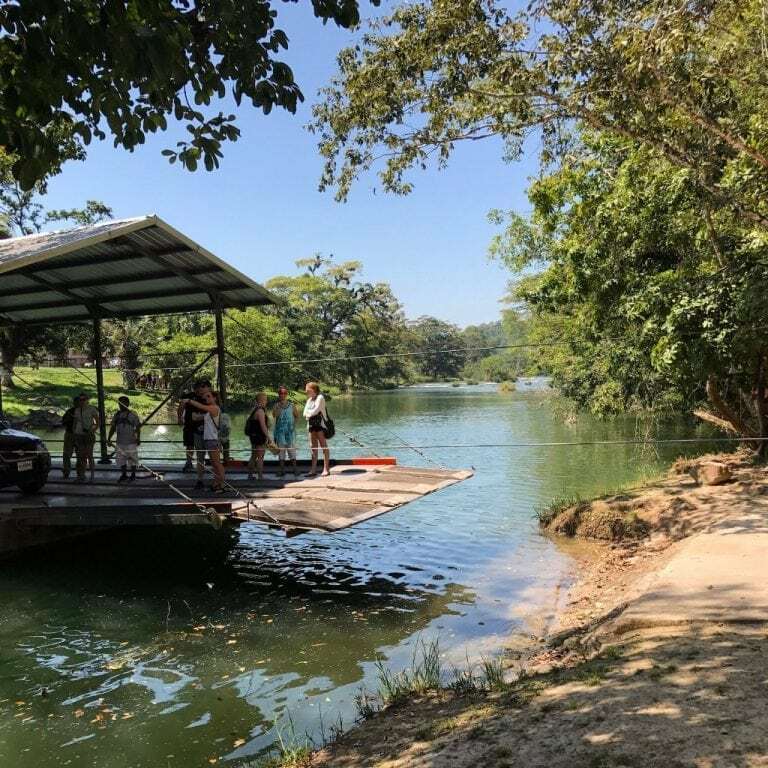 The Ferry for Xunantunich Archaeological Site crosses the Mopan River, where many tour operators in the area carry tourists river tubing, swimming and canoeing. Between Melcher De Mincho’s, Guatemala and Benque Viejo Del Carmen is the only time you would cross the river. San Jose Succotz and Bullet Tree Village in Belize are the last settlement on the bank of this river. 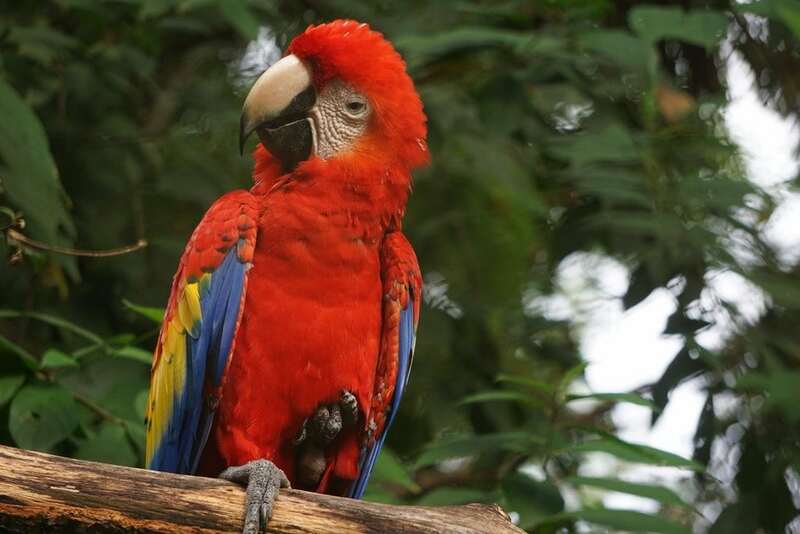 Some wildlife found along the river includes: Green Iguanas, Howler Monkeys and tropical birds. The Cayo district boasts a wide range of accommodations. There are many Jungle Resorts, Lodges, and Hotels. There are 5 star resorts like the San Ignacio Resort, as well as backpacker’s hostels like Bella’s Hotel. Whether your'e staying in or around San Ignacio, there’s always an activity for every traveler visiting Belize. A quick search on TripAdvisor and you will find a list of many places to stay. Each of these accommodations has its own unique look. Some may have a pool; others located next to river or deep in the Rain-forest, of the beaten path and away from the town life. KaWiil Tours offers transfers and tours to or from all Hotels, Resorts and AirBnb in or around San Ignacio town. Rainforest Haven – Located before the Hawksworth Bridge, Rainforest Haven is just a minute walk from everything in San Ignacio; banks, ATMs and stores. Cassia Hill Resort - Formally known as Windy Hill, is a little hillside getaway in the foothills of the Mayan Mountains, just west of San Ignacio town in the Cayo District of Western Belize. Chaa Creek - This resort once hosted Prince Harry, and is famous for its jungle luxury Setting. It's a bit on the expensive side but totally worth it. Log Cab Inn - is located in front of Windy Hill property on the Western Highway just out side of town, both place offer a great stay. Cocopelle Inn - the new comer to the accommodations scene, great accommodations for great prices. Located just a couple minutes walk from the Hawksworth bridge and down San Ignacio. Martha’s Guest House - is an upscale Guest House. Martha's is a long standing accommodation provided for the town, one of the first to open to accommodate guest. 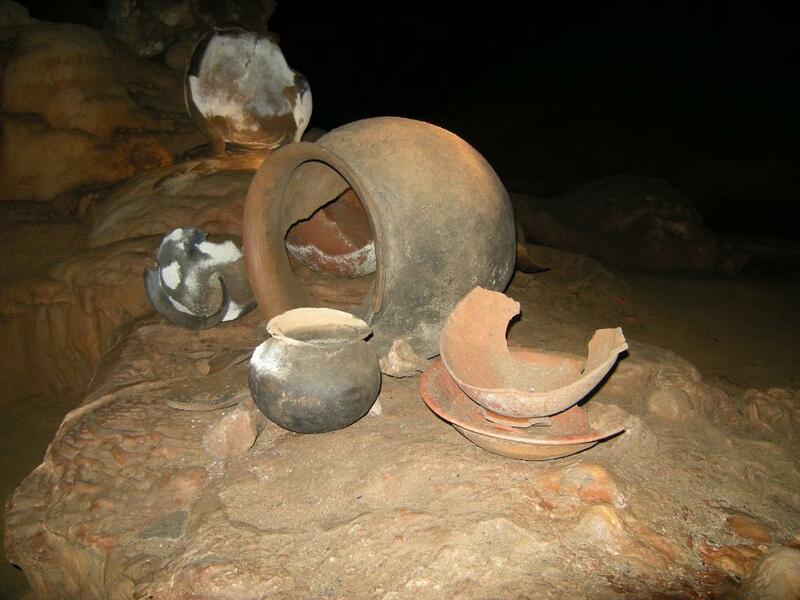 Let me tell you about some things you can do in San Ignacio! The list of things to do in San Ignacio is endless. 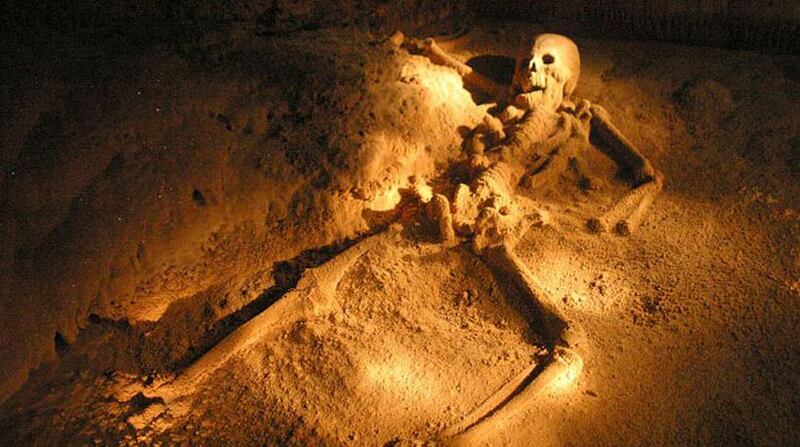 The ATM Cave, Mayan Temples, and River expeditions are just a few. These words aren't sufficient to describe a unique destination of such, which holds many beauty and wonders! Things to do in San Ignacio Belize – It’s a place where time flies and adventure lives. San Ignacio is like living in paradise. It is a great place for family vacation, adventure travelers, retirees, and a perfect home away from home. As one of Belize top destination for tourist, it’s definitely a place worth visiting on your vacation. You may just want to explore, get your limbs active and check mark your list of “things to do”. Food! Yes food! Rarely in the spotlight of a destination, but we thought it would be great to include our favorites along with well known places to eat. 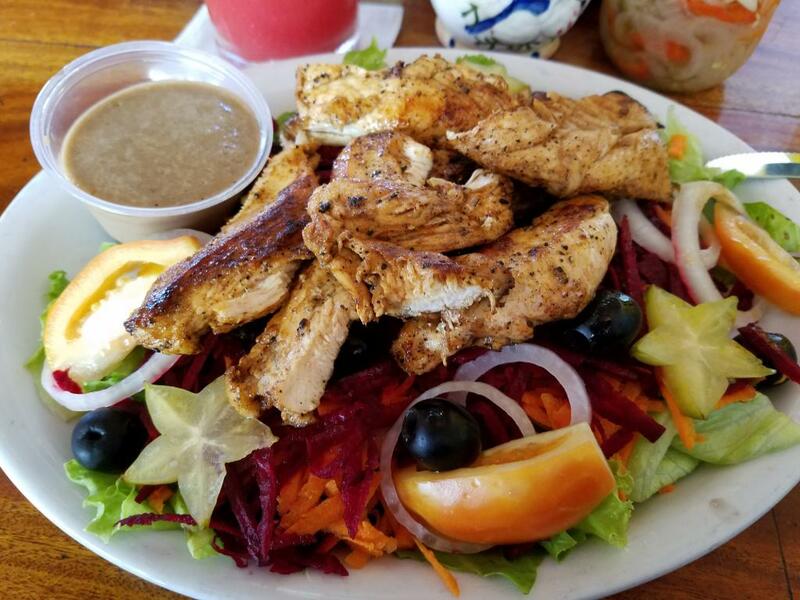 Things to do in San Ignacio, Belize is EAT! It is a great food destination. The main area of San Ignacio Town is the famous Burns Avenue, a Street that is now closed especially for travelers. No traffic, therefore you can walk and enjoy the sites. On this same street you will discover the best restaurants in town. You will find Eva’s, Hannah’s, and Serendib to name a few. These are the oldest restaurants in the town, holding a famous name like no other. Pops Restaurant - Must go for breakfast! Ervas Restaurant - Good food! Crave Restaurant - the new guys on the block is a excellent place to eat. San Ignacio Farmer Market - Local food during the day, exceptionally good on Saturdays. Vivian's Cafe - is a great place for kids and family to enjoy a snack or ice cream. The Ice Cream Shop - located next to crave is also great for - you guessed it "ICE CREAM"
D Stock - at the Welcome center in the nice for snack (fast-food) also. Place around San Ignacio you may like to take a visit to. The Town of San Ignacio acts as a hub for the surrounding villages and settlements. Many students, Public Workers, Teachers and Farmers travel to this town on a daily basis. They come from places such as Bullet Tree Falls, Billy White, Santa Familia and Spanish lookout through Bullet Tree road or the Western Highway. Red Creek and Esperanza Village near the Belize River can also be found along the way. 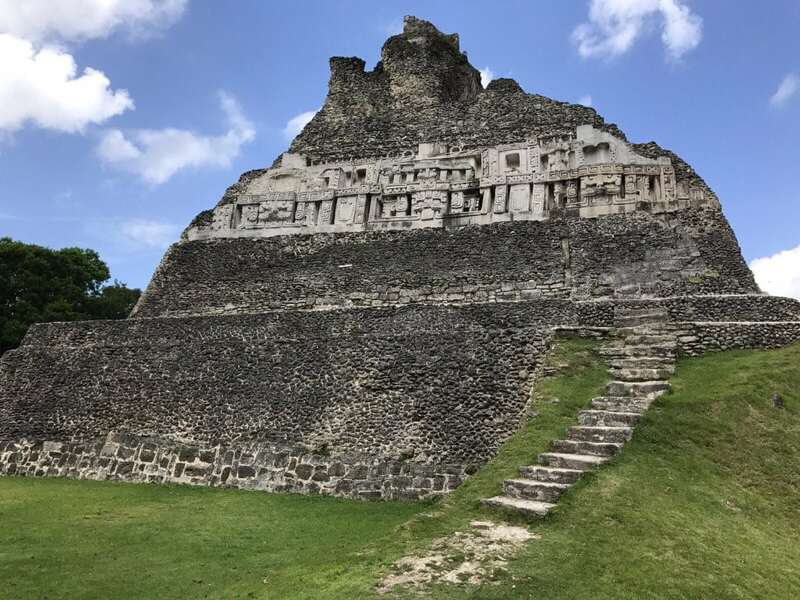 Traveling west you will find the Town of San Jose Succotz where the ferry crosses the Mopan River to Xunantunich Archaeological site, and Benque Vejio Del Carmen which is your final stop before the Belize Guatemalan Border. Traveling slightly east from Santa Elena , you can find Cristo Rey and San Antonio Village. San Ignacio is also a popular place for both foreign and local tourist. Locals come from the Islands such as Amerbergis Caye, Caye Caulker and other coastal destination like Belize City, Dangriga and Placencia, to enjoy the river and connect with relatives. Belizeans often experience the wonders that await foreign visitors, such as swimming at the St. Herman's Blue Hole or in the Macal River which is almost a daily thing to do. The network of Villages to the two towns is probably why expats love the area. It is also a perfect location for people looking for a tropical countryside escape Real estate. KaWiil Tours is proud to provide transportation and tours to many lush, exotic and beautiful parts of the country, which is the Jewel of Central America. Belize is a country located on the eastern coast of Central America. It borders Mexico to the North, Guatemala to the South and West and the Caribbean Sea to the East. 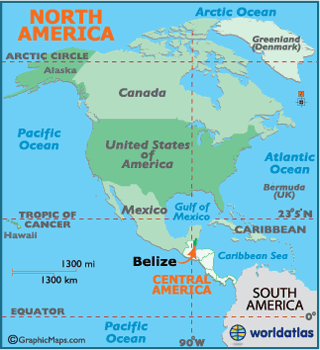 Belize has an area of 22,800 square kilometers and a population of 387,879. It has the lowest population and density in Central America. Cultures include: Garifuna, Maya, Mestizo, East Indian and Creole. English is the original language with Creole "Kriol" being the native language. It is considered a Central American and Caribbean nation with strong ties to both the Latin American and Caribbean regions. Belize is a country with a rich variety of wildlife, and a wide range of climates and habitats for plant and animal life. Belizean jungles are home to the jaguar and many other mammals. Cockscomb Basin Wildlife Sanctuary was founded in 1990 as the first wilderness sanctuary in the world. To the east in the Caribbean Sea, Second Largest Barrier Reef extends 386 kilometers featuring the Largest Blue Hole in the World. The climate consists of wet and dry seasons. Dry season falls between February and May with little or no rain, and wet season (also known as hurricane season) is June to December with up to 150 inches of rain.